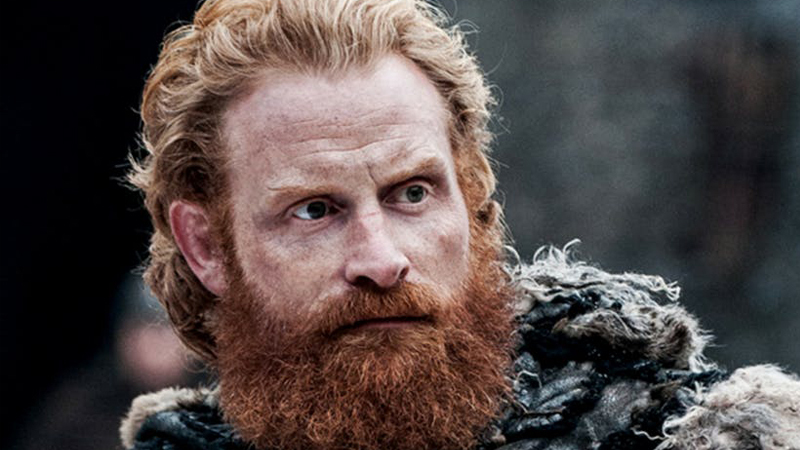 When The Night King took down a big chunk of The Wall in the season seven finale of Game of Thrones, Tormund Giantsbane, played by Kristofer Hivju, was there, warning others to run for their lives. After the season ended, many wondered if the fan-favorite member of the Free Folk had made it out alive. The trailer for season 8 of the series confirmed his return and in an interview with Entertainment Weekly, the 40-year-old actor says he’ll not only be back for the show’s final season, but he’s hyped for the reaction his character might get when first seen on screen. Especially after he caught an episode of HBO’s sword-and-sorcery epic in a packed bar with fans. While he hopes for a round of cheers from fans watching the upcoming final season of Game of Thrones, Hivju also spoke about his character’s motivation heading into the final showdown between the living and the dead. The executive producers of Game of Thrones season eight are David Benioff, D.B. Weiss, Carolyn Strauss, Frank Doelger, and Bernadette Caulfield; co-executive producers are Guymon Casady, Vince Gerardis, George R.R. Martin and Bryan Cogman; and producers are Chris Newman, Greg Spence, and Lisa McAtackney.